Updated on 2019 UCLA Campus , 111 De Neve Drive , Westwood , Los Angeles , CA , USA (Postal Code: 90095). Swimmers like you have reported Olympic size, 8 lanes, Outdoors. Also, you will find 25 yards, 6 lanes, Outdoors. Just in case you need to contact this Pool prior to dropping by, we only know the phone number. Updated on 2019 1600 Campus Rd. , Northeast L.A. / Eagle Rock , Los Angeles , CA , USA (Postal Code: 90041). This sports center offers 25 yards, 6 lanes, Outdoors. For this Swimming Pool, only phone number is number here. Updated on 2019 220 Westwood Plaza , UCLA Campus , Westwood , Los Angeles , CA , USA (Postal Code: 90095). Among all of the activities offered by the center, should you be considering swimming you might appreciate 33 yards with bulkhead for 25 yards or 25 meters, 8 lanes, 5 feet - 12 feet depth, Outdoors. Just in case you need to contact this Pool prior to dropping by, we only know the phone number. Updated on 2019 2900 Whittier Blvd. , East L.A. / Boyle Heights , Los Angeles , CA , USA (Postal Code: 90023). Among all of the activities provided by the center, if you are thinking about swimming you will enjoy 25 yards x 45 feet, 4.5 feet depth, Indoors. Just in case you want to contact this Swimming Pool before dropping by, we only know the phone number. Updated on 2019 5870 W. Olympic Blvd. , Mid-Wilshire / Miracle Mile , Los Angeles , CA , USA (Postal Code: 90036). Swimmers like you reported 25 yards x 30 feet, 5 lanes, Indoors. Unfortunately we do not have the email address of this Swimming Pool, but we can provide you with the phone number. Updated on 2019 431 W. 7th St. , Central L.A. / Downtown , Los Angeles , CA , USA (Postal Code: 90014). Among all the activities supplied by the center, if you are considering swimming you will delight in 25 yards, 5 lanes, Indoors. If it is advisable to contact this Swimming Pool, email address and phone number are both number. Updated on 2019 19216 Singing Hills , Porter Ranch , Northridge , CA , USA (Postal Code: 91326). This sports center gives 25 yards, 6 lanes, Outdoors. Contact facts for this Pool similar to phone number and email address are number. Updated on 2019 4721 Klamath Street , East L.A. / El Sereno , Los Angeles , CA , USA (Postal Code: 90032). Swimmers like you reported 25 yards x 25 meters, 12 lanes, Indoors. Unfortunately we do not have the e-mail address of this Swimming Pool, but we can give you the phone number. Updated on 2019 1026 W. 34th St. , University of Southern California Campus , Los Angeles , CA , USA (Postal Code: 90089). 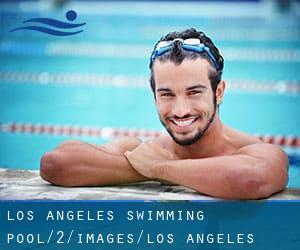 This great and large sports center lets professional swimmers like you enjoy Olympic size x 25 yards, 8 lanes, 6 feet 7in - 13 feet depth, Outdoors. Additionally, within these facilities you can try 25 yards x 25 yards, 8 lanes x 8 lanes, Outdoors. Unfortunately we do not have the email address of this Swimming Pool, but we can give you the phone number. Student Recreation Center , Vincennes St. and University Student Union, Prairie St. , Northridge , CA , USA (Postal Code: 91330). Few days ago a typical user of this center told us they offer 25 yards, 8 lanes, Outdoors. Furthermore, they keep in good conditions 24.8 yards, 6 lanes, Outdoors. Contact facts for this Pool such as phone number and e-mail address are number. Updated on 2019 1350 South Sepulveda Blvd. , Westwood , Los Angeles , CA , USA (Postal Code: 90025). This sports center delivers 25 meters x 25 yards, 10 x 10 lanes, 3 feet - 16 feet depth, Indoors. For this Pool, only phone number is number here. Updated on 2019 1835 Sepulveda Blvd. , West L.A. , Los Angeles , CA , USA (Postal Code: 90025). Among all of the activities offered by the center, if you're interested in swimming you can expect to take pleasure in 25 meters, 8 lanes, Indoors. Just in case you desire to make contact with this Pool prior to dropping by, we only know the phone number. Updated on 2019 701 Stone Canyon Road , Bel-Air , Los Angeles , CA , USA (Postal Code: 90077). Swimmers like you reported 80 feet, Outdoors. Unfortunately we do not have the e-mail address of this Pool, but we can give you the phone number. Updated on 2019 3980 Menlo Avenue , South L.A. / USC , Los Angeles , CA , USA (Postal Code: 90034). This great and large sports center lets professional swimmers like you enjoy Olympic size, 8 lanes, 4.5 feet - 16 feet depth, Outdoors. Additionally, within these facilities you can try 40 meters, 5 lanes, Outdoors. Unfortunately we do not have the email address of this Swimming Pool, but we can provide you with the phone number. Updated on 2019 5001 Rodeo Rd. , Adams / Crenshaw , Los Angeles , CA , USA (Postal Code: 90016). Swimmers like you reported 25 meters, 6 lanes, Indoors. Phone number and e-mail address are number for this Swimming Pool.